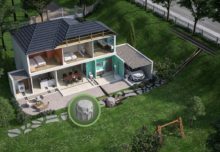 When it comes to building houses, a number of factors are deemed important, from using sustainable materials to implementing and maintaining high levels of energy efficiency. 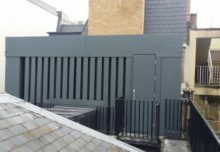 Energy in particular has been a core focus of the building services and construction industries for a long time, with insulation and airtightness being pushed right to the top of the agenda. This prioritisation has led, inevitably, to formalisation in the form of regulations, building standards and minimum requirements. Energy efficiency is clearly a hugely important issue and it’s right that measures are and have been put in place to monitor and measure this. However, somewhere along the way, have we lost sight of the real purpose of homes? The fact that people actually have to live in them? And that these people have needs and standards of their own that need to be met? Isn’t it time we started prioritising the occupants of houses rather than purely focusing on the bricks and mortar? Let’s explore the impact that recent building and construction trends have had on the occupants living in these dwellings. The trend in insulating and sealing up homes has achieved a great deal in the fight against energy inefficiency. However, the downside is an increase in the overall temperature of homes: something which is a particular issue in urban and heavily populated areas, where dwellings are close together, often referred to as Urban Heat Islands (UHIs). Human activity can raise temperature levels even further, making an urban or metropolitan area significantly warmer than the rural areas surrounding it. Modification of land surfaces is one of the leading causes of UHIs, with roads, buildings and other manmade structures retaining their heat longer and raising the overall temperature of their surroundings. In a UHI, temperatures that are already high will increase to an even greater level, raising the chances of the people that reside in them overheating and putting human health at risk. In addition, increased heat can result in elevated greenhouse gas emissions, posing a secondary danger to human and animal health due to the inhalation of pollutants. So why does it matter if we are all a little warmer? The cost of overheating to human health cannot be stressed enough. When your core temperature rises to the point of overheating, you are at an increased risk of health concerns ranging from the inconvenient and uncomfortable (heat rash, difficulty concentrating and problems sleeping) through to serious and even life-threatening conditions beginning with dizziness and being in a confused state, progressing to severe heat exhaustion. Temperatures are rising globally. We have just experienced one of the hottest summers on record with meteorologists declaring all-time heat records both in the UK and all over the world, yet many people are living in properties that have been designed to keep warm, not comfortable. Overheating in homes can exacerbate existing health complications. What can be done to improve occupancy health? Education is key when it comes to how our homes can affect our health and how we can overcome these problems. Ventilation is a word that is thrown around but how many people truly understand it? And the devices we do have to ventilate our houses and keep us comfortable are often badly designed or installed inadequately, so they do not perform to their potential, meaning that occupants are tempted to turn them off or not use them? The solutions are out there: sophisticated ventilation and cooling technology which can be designed into homes to keep comfort levels consistent whilst also considering other key concerns such as noise, cost and energy efficiency. The industry is beginning to listen, too. CIBSE’s TM59 guidance looks at designing measures to curb and counteract overheating in homes, and developers and construction firms are beginning to think more about occupants comfort when designing homes. After all, it’s all very well getting a top energy rating for our home, but if they are too hot and uncomfortable to live in, do the cons outweigh the pros? Take a look at our full range of ventilation, cooling and indoor comfort solutions to learn more.